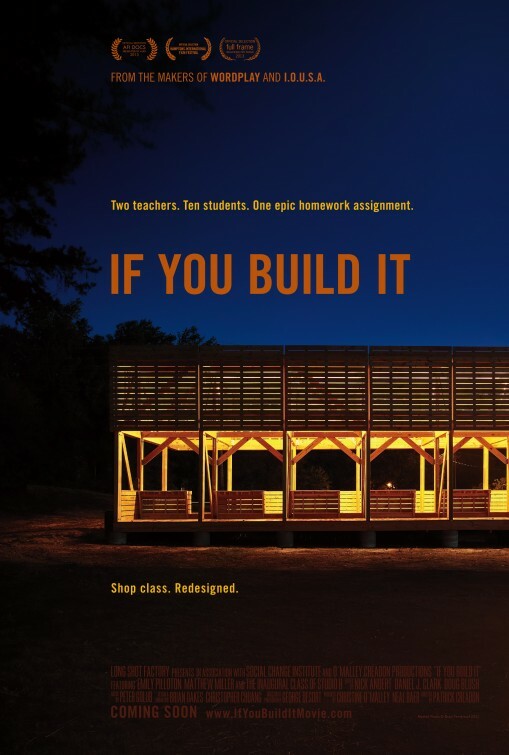 Patrick Creadon’s If You Build It provides a literal enrichment to the often articulated ideology that a world of possibility exists within the palm of one’s hands. 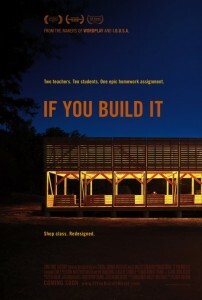 A film which follows designer-activists Emily Pilloton and Mathew Miller to the poorest area of North Carolina as they engage high school students in a year-long course to create a new kind of classroom, If You Build It emphasizes the potential of the future to emerge as architecture of our own design. In collaboration with ten teenagers, Pilloton and Miller build not only to imagine a renovated notion of real-world education, but to realize the immensity of the construct of choice through the raw aptitude of youth. “If You Build It.” 2013 Movie Poster Gallery. IMP Awards. <http://www.impawards.com/2013/if_you_build_it.html>. In expansion of the film’s commentary on innovative teaching strategies, immediately following the film screening, the audience will participate in a conversation with Aimee Kennedy, Battelle’s Vice President of Education and STEM learning, and Jeff Terwin, the Wellington School’s Head of Upper School. Led by Wexner Center Director of Education Shelly Casto, the event will take place Wednesday, February 19th. Tickets are $8.00 for members and students and $10.00 for the general public. *Visit http://www.wexarts.org for more information.